Michael J Fox on his Parkinson's : "acceptance isn't resignation"
The Michael J Fox Foundation was launched in 2000 with the aim of finding a cure for Parkinson’s disease. To date, the organisation has raised more than $700 million for Parkinson’s research. 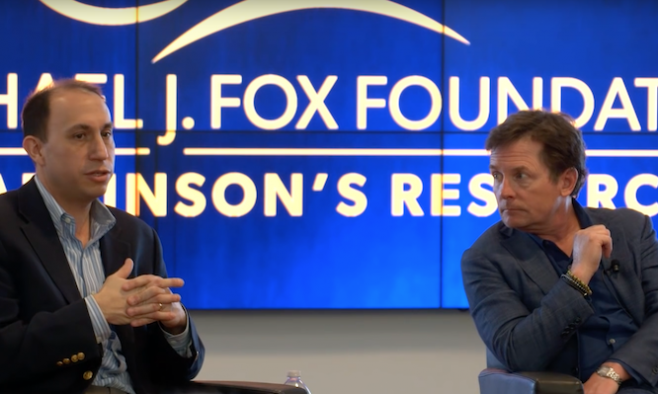 Michael J Fox has reflected on his Parkinson’s and how he feels “empowered by the truth”, in an interview held as part of the ‘Talks at Google Verily Grand Rounds’ speaker series. In the hour-long talk the Parkinson’s campaigner discussed his unshakeable optimism, a trait that has regularly earned him praise from the Parkinson’s community. The conference, hosted by neurologist Dr Bill Marks, was well-received and met by a standing ovation from the audience. Despite being diagnosed with Parkinson’s in 1992, it was not until 1998 that Fox decided to go public with his condition in an interview with People magazine. Since then the Canadian actor has been working to fund Parkinson’s research, alongside his television roles. Has Michael tried cannibus?! There is oil that is used under tongue and immediately works. Find on fb posts and information!